Great!!!! but how you would draw Googol and Googolplex?? do you know that the smallest solitary number is ten, don't you? 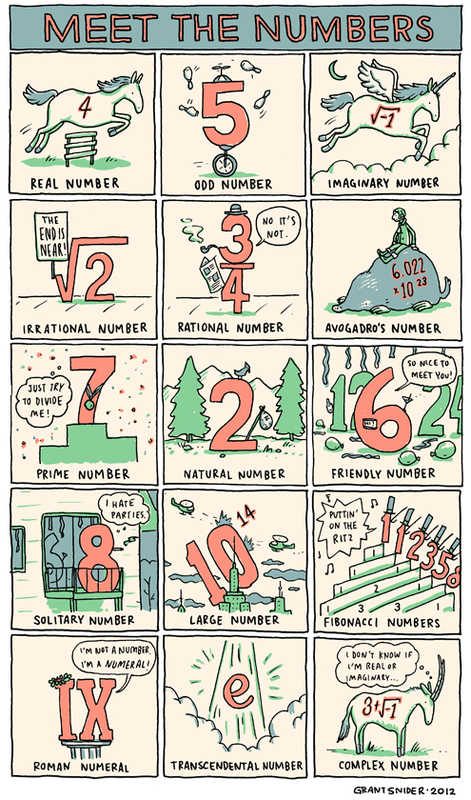 Haha, I only remember some of these number from school... what goes after 8? I've completely forgotten everything about solitary numbers and fibonacci numbers. I'd never heard of them until I did some research for this comic! Oh... and where is PI??? Glad you gave e some love. Showboat pi always hogs the spotlight.